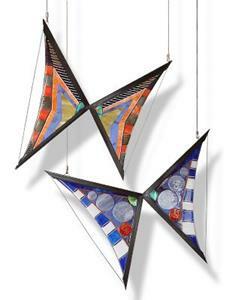 This installation consists of five suspended sculptural glass pieces ranging in size from 15"x15" to 26"x26". 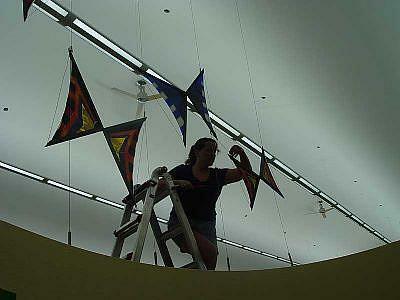 The kites hang over the childrens' story area of a newly constructed public library. I was able to design the doors and windows into the story room to compliment the art installation and create a harmonious, playful and cheerful atmosphere. The architecture of the building was designed to compliment a neighboring historical mansion, built in the 1860's. 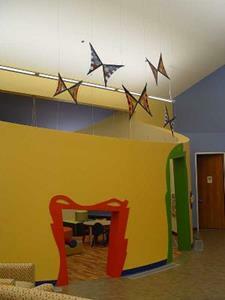 The new building has areas reminiscent of the carriage house and barn, with the childrens' room being the silo. 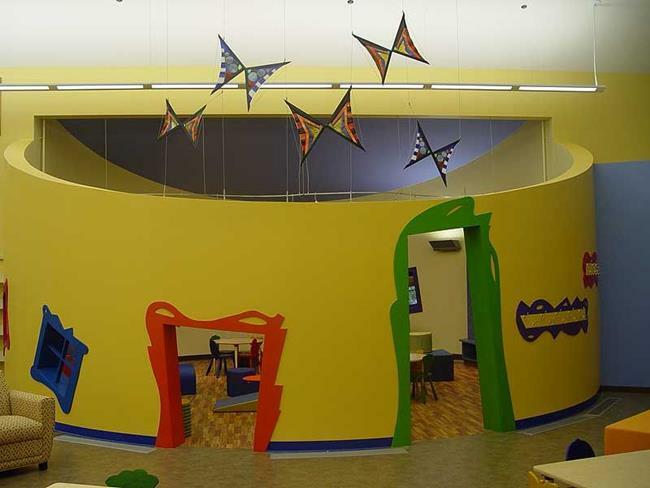 In thinking about this project, I worked toward creating pieces that were contemporary and elegant, yet accessible to the children. I wanted to reflect the rural history of the community.